I’ve been a bit quiet recently. Which if you know me in person you will know is VERY unusual! Anyway, it’s with good reason. Things are changing over here. 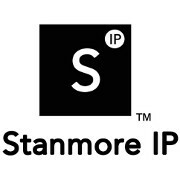 I’m off to pastures new; joining a new firm, Williams Powell, and closing Stanmore IP. No sad faces, it’s a hugely positive pivot (tell me you get the Friends reference otherwise we can’t be friends). The team at Williams Powell are great and the move means that as well as extra trade mark “hands on deck”, we can also support you for patents, designs and IP litigation too. The big move happens on 24th April and I’ll pop my new contact details on here then. I’ll still be working Monday – Thursday. Some days will be in London so if you’re ever in town, let’s meet for a coffee. If you’re based further afield, I can manage the Midlands and Home Counties pretty easily; further afield can also happily be arranged, who doesn’t love a road trip. I’ll also be at INTA in Boston, MA between 18-22 May if you’re venturing that way, give me a shout and we can arrange a get together. I’ve changed my social media handles (priorities!). You’ll now find me as ClareTrademark on Twitter and Instagram. Still me on LinkedIn. So, that’s my news. I’m off to have a much-needed holiday. See you on the other side! This entry was posted in Business Life and tagged friends, news, pivot, williams powell on 5th April 2019 by Stanners. Small Business Saturday launched in the UK in 2013. It’s a simple initiative designed to support and promote small businesses, right in the midst of the holiday season. A lot of people perceive the Small Business Saturday movement to be retail-based; encouraging promotion of smaller makers, independent shops, or maybe even coffee shops. One of my favourite local coffee shops, Pavilion at the Park, is one of this year’s Small Business Saturday Small Biz 100. These businesses are all fab and they get a lot of column inches this time of year – but I would encourage you to remember them long into the new year. They thrive only if we as customers use them. Talking about Small Business Saturday; I wanted to take the opportunity to highlight the small service-based businesses who also do happy dances when they get a sale, but perhaps sometimes can be overlooked in this time of events, gift guides and stocking fillers. A few of my personal highlights of small service-based businesses that are just as excited to be part of the small business community. Simplified Accounting. Rachael’s small business offers accounting services, mainly to Limited companies. That doesn’t mean that she doesn’t offer it to individuals, this is to do with the company set up (I’m a Limited company and I work by myself). Her approach is extremely down-to-earth, she makes sense of the numbers and does it in plain English. If, like me, you struggle with that side of the business, she is the perfect person to have on your side. And we usually discuss numbers over a slice of cake so that’s always a winner for me. Southwood Social Hub, and Southwood Social Hub Scotland. The brainchild of Hayley Southwood, these are online networking groups with a difference. There is a maximum number of members at any one time, to help limit the “noise”. The community she has created, and which the members support every day, is really unusual for an online networking group. It is supportive, a safe space, non-competitive and welcoming. The regular meet ups reflect this too, and it’s lovely to see people greet each other like long-lost friends when often they have never met in real life before then. Donna Tweedale Styling. Donna is so thoughtful and a truly warm personality. She offers various styling services from personal shopping trips and wardrobe edits to seasonal reports. Helping to select the right collection of pieces to pull together a seasonal wardrobe update, or to help with an outfit for an event. Crucially, and perhaps unexpectedly, she doesn’t encourage buying lots of new things. Her service is much more about pulling together what you have and perhaps adding a few extra, key, pieces that will work hard. She’s not going to throw out your entire wardrobe and make you start from scratch; nor is she going to turn you into a clone. Her service is individual and personal. The Happy Body Project. Julie is an incredible personal trainer. She is a proper nerd when it comes to fitness and nutrition (and I mean that in the best possible way). She really knows her stuff. She runs various group classes as well as personal training, and online courses. All of them are tailored to each individual’s needs – somehow she manages that even in a class of 12 people! It’s her personal touch and her genuine enthusiasm for helping everyone achieve whatever their aims are that make her stand out for me. Let me know if there’s any others you’d recommend I check out. This entry was posted in Business Life and tagged business, service-based business, small business champion, small business saturday on 21st November 2018 by Stanners.